Innerlife STS is based on over 30 years of scientific research that includes a level of detail that exceeds that usually possible within the most used research designs that are drawn from other fields. The results of extensive research on the Systematic Treatment concepts have converged around a number of demonstrably important principles that describe the conditions under which patient, treatment, therapist, and process dimensions could promote change. The STS--Clinician Rating form (STS-CRF) was first described in 1995 (Beutler & Williams, 1995) and first was published in 1999 (Fisher, Beutler, & Williams, 1999). It represented an extrapolation of findings from a research program that was initiated in 1979 with a re-analysis of the dodo bird verdict proclaimed by Luborsky, Singer, and Luborsky in 1975. That analysis (Beutler, 1979) extracted all research comparisons of two or more psychotherapies from the original Luborsky et al review, and undertook a systematic inspection of the patient characteristics that were present when one of the treatments disaffirmed the dodo bird verdict by proving to be more effective than another treatment. This analysis, contrary to Luborsky et al’s original conclusions, suggested that patients who presented with certain kinds of characteristics were more and less responsive to different classes of therapeutic procedures. That is, procedures that share a particular form or structure, may be equally well received by a given patient, even when their objectives and founding model are different. As research accumulated, dimensions for optimizing the effects of psychotherapy were extended to include therapist, as well as therapy characteristics and prognostic as well as matching factors. 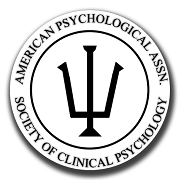 A wide range of research methods were used to identify and refine the matching and prognostic dimensions, including interviews of psychotherapists (e.g., Glueck & Beutler, 1987), prospective studies using randomized clinical trials (RCT) methodologies applied to both the processes of psychotherapy (e.g. ; Beutler, Daldrup, Engle, Oro'-Beutler, Meredith, & Boyer, 1987; Beutler, Daldrup, Engle, Guest, Corbishley, & Meridith, 1988; Corbishley, Hendrickson, Beutler, & Engle, 1990; Hill, Beutler, & Daldrup, 1989) and the outcome (e.g., Beutler, Engle, Mohr, Daldrup, Bergan, Meredith, & Merry, 1991; Beutler, Machado, & Engle, 1993; Scogin, Bowman, Jamison, Beutler, & Machado, 1994 ), and post-hoc or quasi-experimental designs (e.g; Beutler, 1991a; Beutler, Mohr, Grawe, Engle, & MacDonald, 1991; Calvert, Beutler, & Crago, 1988; Lafferty, Beutler, & Crago, 1989; Mohr, Beutler, Engle, Shoham-Salomon, Bergan, Kaszniak, & Yost, 1990).